Thank you to all students who applied for the 2015 Perfect Patients Chiropractic Scholarship. 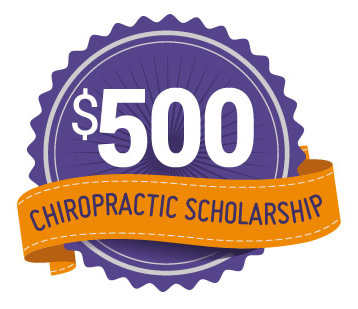 Earlier this year, we gave aspiring chiropractic students a chance to submit a 500-word essay for a chance to win a cash scholarship. Acknowledging the unparalleled rewards from a career in chiropractic, Perfect Patients launched the scholarship program to help students limit their debt as they follow their dreams in the chiropractic field. After careful consideration, we are delighted to announce that we have chosen the recipient of the 2015 Perfect Patients Chiropractic Scholarship. Read the winning essay below! 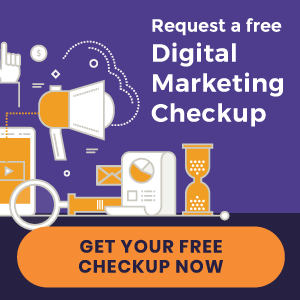 Prompt: What are the most important distinctions between chiropractic care and medical treatment and what challenges or opportunities do they create for chiropractors communicating with new patients? The treatment patterns of chiropractic and mainstream medicine differ only in their respective approach to the provision of healthcare. In the case of mainstream medicine, healthcare is provided on the basis of treatment for a pre-existing sickness using additives such as chemical substances to support or replace the body’s response; a reactive approach. Chiropractic care utilizes regular adjustments to optimize the brain’s ability to communicate with the body thereby enhancing the body’s innate healing ability; a holistic proactive approach. This distinction between reactive and proactive healthcare makes it difficult for patients to understand the importance of a chiropractor when they are already seeing a primary care provider. presenting at a hospital or clinic with noticeable symptoms of sickness. After a wait to see a doctor, a medication or therapy is prescribed which provides targeted treatment and relief of the present illness. This is the reactive approach to healthcare which is based on the prevailing belief that everyone is healthy until they feel otherwise and that intervention is only required when an individual is no longer healthy. But what is health? The Merriam-Webster dictionary defines health as being well or free from disease and in relation to medical treatment that is a succinct definition. A broader definition of health is needed to understand the goal of chiropractic care. Not only of freedom from disease, but also that of increasing bodily functioning. Within each body is the ability to combat and defeat the sicknesses that are treated every day in hospitals. While medical treatment involves the utilization of chemical methods to replace these innate defences, chiropractics is focused on allowing the body to heal itself by strengthening the brain-body connection. The brain is the ultimate control centre of the body, sending signals along nerves down through the spinal cord and out to every organ, every fibre and every cell of the human body. These nerves exit the spinal cord through tiny gaps between the 33 individual bones of the spine and function similarly to a water hose. If a single part of the hose is squeezed, less water comes out the other end. In the case of the nerves, the signal the brain is trying to send may not reach the intended target if the spine is even slightly out of position. For example, a signal telling a cell to produce a cancer fighting compound. While the science behind spinal adjustments is well researched and proven (Cooper, and McKee 2003), there are fewer provisions in most insurance policies for extended chiropractic coverage than for medical treatment. This means that eventually patients may have to pay out of pocket to continue receiving adjustments. However, this extra attention is an opportunity for a chiropractor to constantly assess and assist you in maintaining optimal bodily functioning employing a variety of natural remedies to assist your body. Chiropractors are educated with a knowledge of the functioning of the body and possess the abilities to correct imbalances in functioning through nutritional supplementation and alternative therapies. These may include anything from vitamin supplementation and diet advice to information on physiotherapy and acupuncture. In our increasingly naturopathic culture, your chiropractor can assist you in finding the most natural treatments to keep you healthy and away from feeling ‘sick’; their main goal is to increase the bodies’ innate drive to be healthy. This is the less understood proactive approach to healthcare; assisting your body’s innate defences through correct diet, activity and alignment to prevent sickness before it happens. In a 7 year study, patients seeing a chiropractor as their primary care provider observed 60.2% less hospital admissions, a 59% shorter hospital stay when admitted, 62% fewer surgeries or procedures and 85% reduced pharmaceutical costs than patients seeing conventional practitioners alone in the same geography and time frame (Sarnat, Winterstein, and Cambron 2007). This study exemplifies the main difference between medical treatment and chiropractic’s. The individuals studied showed massive improvements in their ability to combat disease as shown by the reduced hospitalization and need for medication. This was accomplished using the proactive approach of treating patients who identify as healthy instead of the reactive approach of treating those with sickness. Understanding this distinction between proactive and reactive healthcare will assist patients in fully understanding the complementary benefits of chiropractic care. This combined approach involves supplementing the reactive approach of mainstream medicine with the proactive approach of chiropractics. « New Chiropractic Website Design for Dr Frank C Bemis & Associates!